How does the tailored program work? Start you day with a 3-hour city walk in the historical center: take a coffee in the Marais to get you awoken and start exploring the tiny oldest streets of Paris, cross over the Seine to reach Notre Dame Cathedral, take a look at the renaissance style city hall, and reach Quartier Latin and Saint Germain. You can also take a bus guided-tour if you do not want to walk, or hire a guide if you prefer to get stories at the same time. They are wonderful guided-tours you can do, from tours you can do yourself in electric cars to tours in mini group by bike. Contact a travel agency to book one of these and you will not be disappointed. After lunch in a typical brasserie or bakery, you have two options. 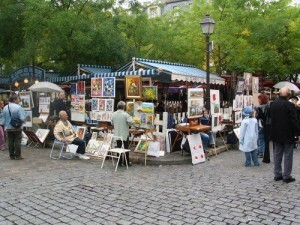 First option is to go for another walk in Montmartre to grasp a feeling of its village atmosphere. Second option is to visit Le Louvre museum masterpieces. Try to find a printed hand-out to focus on the masterpieces. Being the largest museum in the world you can spend up to an entire day there and you will still not have seen everything. People can easily get tired after 2 hours, so try to focus on the most important pieces or only on a specific section of the museum if you do not want to this to happen to you. At the end of the afternoon, relax during a 1h cruise on the river Seine. 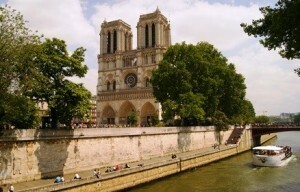 The Seine is indeed a perfect point to admire most of the monuments of Paris since they were built on the Seine banks. Most of the companies offer approximately the same price (+/- € 1), from the world famous Bateaux Mouches with its enormous boats to the family run company of the Vedettes de Paris… They also offer lunches and dinners on board, get in touch with a professional to book one of these since menus and prices differ from one to another. If you do not want to have dinner on the boats, we can recommend to go to a typical brasserie or get a sophisticated dinner from a 1 to 3-star Michelin chef or a restaurant gastronomique offering a menu découverte: 6 to 7 sets menu. 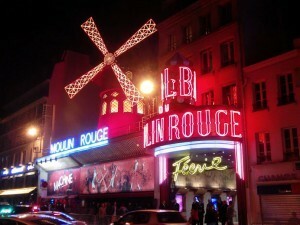 After dinner, go to a cabaret such as the Moulin Rouge or the Crazy Horse and enjoy the show. ParisByM is a local company, based in Paris and dedicated to providing information for tourists planning a trip to Paris and France.